We’ve been buying and building furniture (what a mountain of polystyrene that involves) and moving old stuff in order to turn our two spare rooms into children’s bedrooms. The little room actually looks like a bedroom now for the first time in 11 years; pity it goes back to feeling like a bunk on a submarine when you add a wardrobe though! Helen’s hanging up some new curtains. 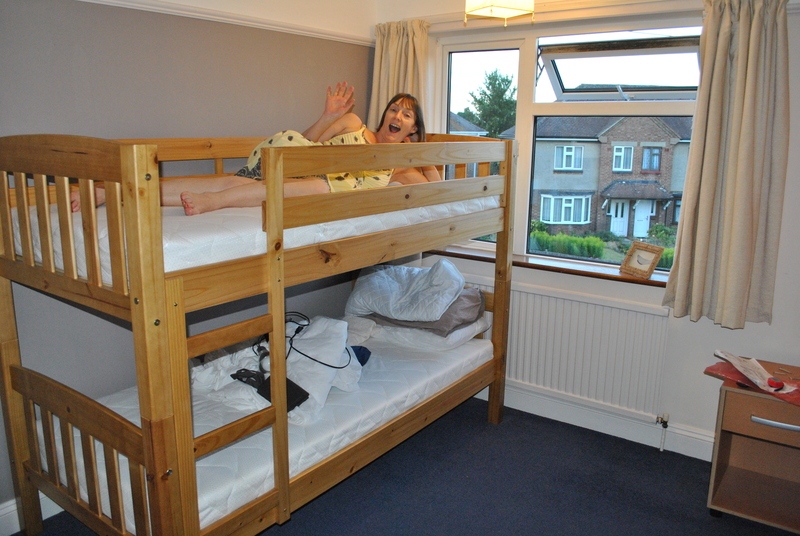 The second bedroom now has bunk beds and a new wardrobe – solid as a rock, unlike the wobbly chipboard one it replaces. Here we’ve just finished making the bunks.